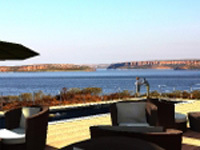 The Berkeley River, a multi-million dollar development located on the Kimberley Coast in Western Australia is scheduled to open next year. The property will feature 20 suites with panoramic ocean views and a main lodge with state of the art conference facilities. Incentive activities including boat cruises, fishing and helicopter rides will also be available.